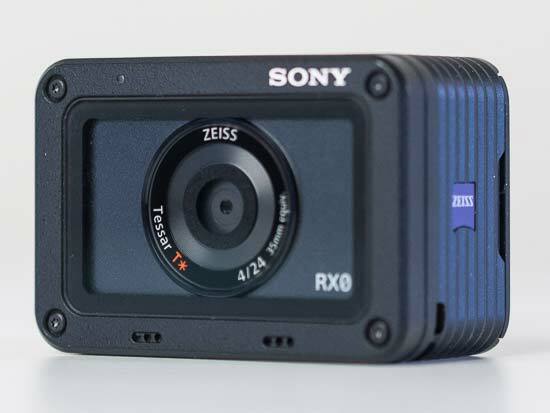 The action camera world was shaken up a bit when the Sony RX0 was announced. Could Sony, one of the leading brands in developing new camera technology, really stick it to the industry leader GoPro with its new premium action camera? 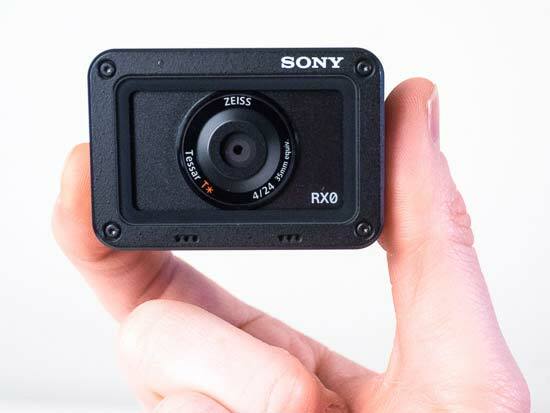 What really grabbed the headlines was the Sony RX0’s massive 1-inch sensor, packed into a body that looks and feels like a regular action camera. The sensor is around 4x the size of those in other action cameras, so the RX0 image quality should outshine its rivals, particularly in low light. Actually, the RX0 is not that simple. Read beyond the product images and you can soon see that it is an altogether different proposition to other action cameras like the GoPro Hero 6. It has its pros and its cons. Sony itself points out that the RX0 is not an action camera (as we know it). So what exactly is the Sony RX0 and just how good is it? Read on to find out. 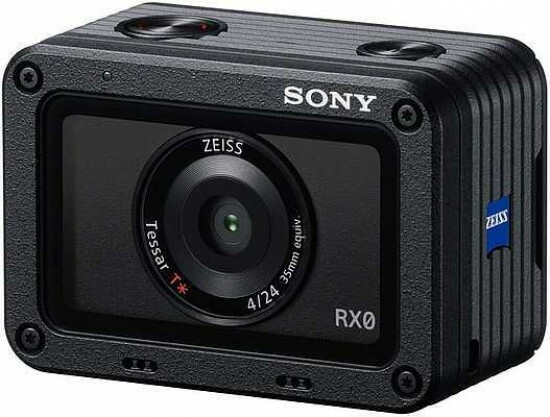 The Sony RX0 is available now and has an RRP of £800 via the Sony website, where you can find more information about the camera. There are plenty of accessories available too, including the Cage (VCT-CGR1), Housing (MPK-HSR1), Filter Adaptor Kit (VFA-305R1) Cable Protector (CPT-R1) and additional battery (NP-BJ1). Sony is keen to point out that the RX0 is not a GoPro competitor. Why? On the outside this is an action camera. It’s the same sort of size and weight, measuring 59x41x30mm approximately and weighing a mere 110g. It’s an extremely rugged camera too. Other similarities include the fixed wide-angle lens. Then the camera is waterproof (down to 10m, IPX8 equivalent), shockproof (up to 2m) and crushproof (up to 200kg). So really it’s the same as other action cameras, right? Well, dig a little deeper and the RX0 is quite a different camera to one like the GoPro Hero 6. The more you look at the RX0, the more it feels like a different concept. In fact, it feels like a different category, possibly a new category. You’ve got that 20MP 1in sensor like in Sony’s RX100 series of compact cameras. 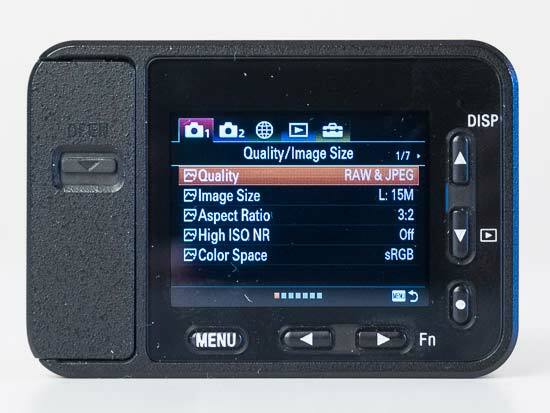 A larger sensor provides greater control over depth of field and, as we said, image quality should be better, especially in low light (more on this later). The fixed f/4 lens has a focal length of 24mm (full-frame equivalent), which is not as wide as most action cameras that feature a fisheye lens. Usually action cameras are designed to work close in hand, while keeping as much of the environment and subject in the shot. So while you don’t fit in as much into your shot with the RX0, the 24mm wide-angle lens is not affected by barrel distortion in the same way that a fisheye lens is. 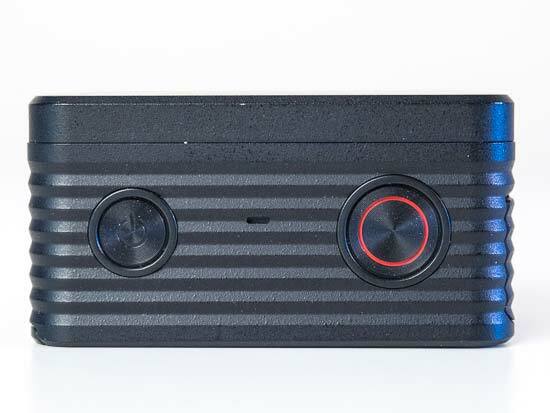 Then you have a universal microphone port to connect an external microphone for high-quality audio recording. You won’t find this feature on too many other action cameras (though you can on the YI 4K via a cable). Therefore, the RX0 seems like an interesting prospect for other applications, including v-logging. However, unfortunately the RX0 does not have image stabilisation. For those that would like to use the RX0 as an action camera or for run-and-gun v-logging, image stabilisation will be sorely missed. Stabilising the camera will have to happen using other means, like with a gimbal. No IS certainly isn’t a deal breaker, but given the RX0 costs £800, you’d hope it would be included. Other ports include a micro USB for charging and mini HDMI out to an external recorder for clean 4:2:2 4K videos. Without an external recorder, videos are limited to full HD at 50/ 60fps up to 100Mbps. There is Sony’s HFR (High Frame Rate) modes too, that will capture short sequences up to 960fps. That’s quite a feature set in such a diminutive camera. As with other Sony cameras with HFR modes, you’ll need to time the start of the sequence just right - which takes practice. Once the sequence is captured, there is a wait post capture when the camera is out of action while the video is processed. Another neat feature is the wireless connectivity to a smart device via Sony’s Play Memories app. Asides from image transfer, one function of the app is the ability to control up to five RX0’s simultaneously. In fact, it is possible to run up to 100 RX0’s for the same shoot. 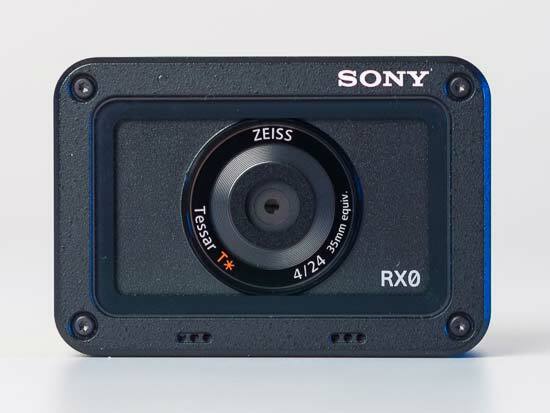 So, rather than an action cam, Sony is pushing the RX0 to be used in professional filmmaking productions, like in multi-camera rigs and in-car shots. We can quickly see why. Just how much the 24mm focal length and modest minimum focus distance of 50cm restricts the camera’s usefulness in tight spaces is another matter. That minimum focus distance of 50cm is approximately an arm’s length. So when v-logging, we had to continually remember to keep the camera at arms length to ensure the face is sharp - it’s harder than you think. When attaching the camera to a helmet, boom and mast while windsurfing, the field of view was not quite wide enough for an immersive feel of the action. With the RX0 waterproof down to 10m, you won’t need dedicated housing to protect it from water intake. In use, water glides right off the protective removable frontage, meaning you won’t get obtrusive water droplets ruining your shot so often. The same cannot be said for many other housing units. Elsewhere, the rear LCD screen is a rather modest 1.5in display with 230k dot resolution. In bright light it is very difficult to see the display clearly. Also, the screen is not touch sensitive. 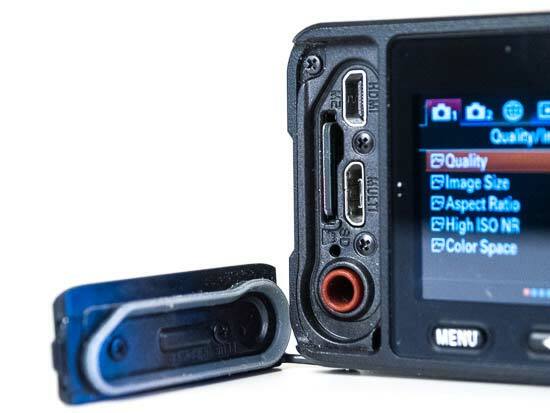 Most other premium action cameras feature 2in touchscreens. Instead, the menus need to be navigated using the keys to the side of the screen. It can take a little while to change camera settings, even once you are used to finding your way around the camera. Frankly, it’s a bit of a pain. A quicker alternative is to control the camera remotely through the Play Memories App, where the basic exposure controls are to hand. It’s not a comprehensive solution as understandably there are many controls not available in the app, but it does speed up the basic control of the camera (plus of course you get remove live view on a larger and clearer display). On an aside, it is possible to ‘flip’ the display 180° for clear viewing when the camera is positioned upside down. That’s a neat feature. The RXO uses a NP-BJ1 battery unit which provides a battery life quoted at 240 single shots or up to 35 minutes movie recording time. In reality, the battery life really is quite modest and we could have done with one or two spare batteries for our test. That large sensor sure is power hungry. However, the camera can be charged via USB. While out and about we made use of our own power bank when the battery drained. It is also possible to power the camera externally with a more powerful additional battery unit. Playback menus are separated between videos and photos. It would be great to have these images together for viewing. Sony's is the system that you are most likely to accidentally delete videos (or photos) if you are not careful. Also, the orientation of portrait format images is not automatically flipped, so you’ll have to do that manually when editing the images. Optional accessories can bear a major impact on how well cameras like the RX0 hold out in use. There are already quite a few accessories for the RX0. For example, if 10m is not deep enough for you, there is an optional waterproof housing available with 100m depth ability.